The Inspector-General of Police (IGP), Mr Ibrahim Idris, on Tuesday, said that the Nigeria Police Force (NPF) is critical to internal security in Nigeria. Idris made this remark when members of Group Six of the Senior Executive Course 40 of the National Institute for Policy and Strategic Studies (NIPSS), Kuru, paid him a courtesy visit in Abuja. The IGP, who was represented by the Deputy Inspector-General of Police in charge of Finance and Administration, Mr Shuaibu Gambo, said “the Nigeria Police Force is the forefront when it comes to internal security”. 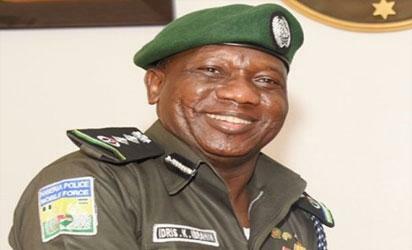 The police chief said that the police had a lot to contribute in resolving security challenges in the country. Idris noted that due to some challenges militating against the operations of the force, other security agencies had become visible in the forefront of internal security. He noted that any nation faced with internal security problem could not achieve the desired development needs of its people. Earlier, the Acting Director General of NIPSS, Mr Jonathan Juma, who led the delegation, said the force was a strategic partner to the institute. “We have looked at the various agencies that are strategic to the peaceful atmosphere of the country and the police come to mind. “The police is a strategic institution that will help to address the security challenges of the country,” he said. He noted that the police had been overstretched in carrying out its constitutional mandate, and according to him, the situation calls for concern. Juma said that the institute trains people to occupy strategic positions in the country. The post Police critical to internal security-I-G appeared first on Vanguard News.